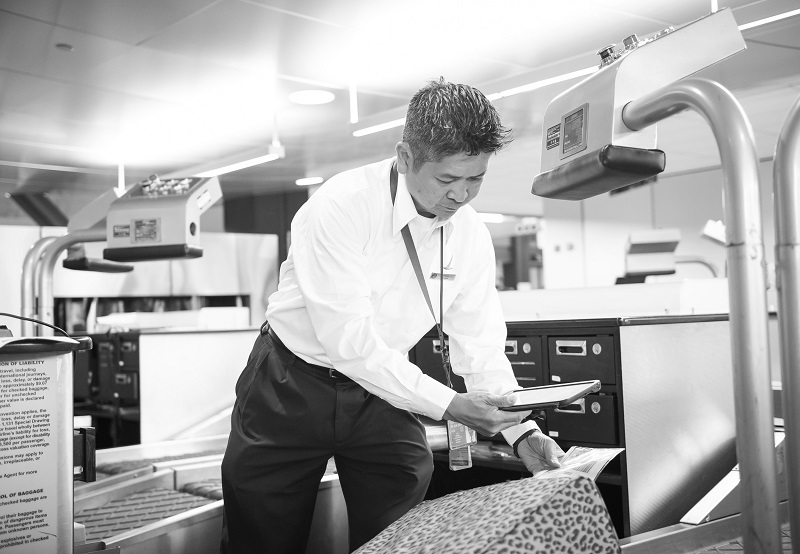 Chances are, if you’ve flown through Seattle, you’ve seen and may even know Kennie Luu. He’s the guy with a smile a mile wide. If you need something, he wants to help you. Each year, Alaska recognizes the best of the best of our people with the Customer Service Legend Award — the highest honor an employee can receive. Kennie was selected with 14 others for recognition in 2018. Our Legends are the top quarter of 1 percent of all the people who have ever worked for our airline. Let me tell you more about Kennie. His given first name is Khang, and he was born in Vietnam. His father was a university professor, and his mother raised him and his four brothers. In 1983, the family made the difficult decision to flee their homeland, which had come under communist rule. Assisted by the Salvation Army, the family spent three months in a refugee camp in Thailand before traveling to the United States. Aside from some clothing and a pair of shoes, Kennie left behind all that he had known, in search of a better life. He was 16 years old and recalls that his family didn’t even have a dollar in their pockets. Kennie’s family flew to San Francisco and then boarded a second flight to Seattle, where an aunt had offered them a temporary place to stay. Sometimes, it’s the little things one remembers: Kennie recalls asking a flight attendant for 7UP on that flight, and he and his brothers enjoyed their first taste of America — with all the refills they wanted! Kennie and his family moved into an apartment in Seattle’s Central District. His father and mother, who each spoke three languages, got jobs and began to educate their boys. Eventually they were able to afford a home in West Seattle. Kennie and his brothers settled into their new lives in America. After graduating from high school, Kennie learned to operate a printing press at a nearby community college. That led to his first job at Alaska Airlines in our graphics resources department, in 1991. He moved to the Seattle ticket counter in 2004, and has been there ever since. In all, Kennie has been with Alaska Airlines for 26 years. He has near perfect attendance and works diligently. He allows himself a vacation once a year — often to the Bahamas or Hawai‘i. Kennie’s brother David, and his sister-in-law Mihee, also work for Alaska. Today, Kennie has two sons of his own, who both attended college. One works in music production, and the other is studying architecture at the University of Washington. English is very natural for his kids, but not for Kennie. In fact, at one time he doubted that he’d make it at Alaska, because English is not his first language. But where words fail him, his smile and humor more than make up for it. He’s a customer favorite and is often called upon to translate for guests who need an interpreter. Kennie’s story reminds me that we shouldn’t take anything for granted. I don’t talk about this often, but I have a small airplane that I keep in a small hangar at Boeing Field. In that hangar is a large American flag. Each time I fly, I look at the flag, and I think of the incredible liberties and opportunities that our great country, with all of its faults, provides to each of us. Kennie Luu, for me, is a fantastic reminder of these things. America is a much better place because we have opened our arms and welcomed people such as Kennie Luu and his family into the fold. Congratulations, Kennie. I’m glad your family came to America; I’m incredibly grateful that you became a member of our team; and I’m happy that you’re here today, brightening people’s days and encouraging all of us to be our best. 10 comments on "Brad Tilden: Meet Kennie Luu, one of our best"
Congratulations Kennie on this well deserved award. To anyone that you encounter, they are always met with your friendly smile. It is your great work ethic and your genuineness that has made you a true Customer Service Legend. Kennie seems like an incredible guy! You make ME SMILE everytime I see you!! Congratulations to Keenie and all the other Legends that were honored for 2018. What a story of someone coming to our country and applying themselves. Seattle station so lucky to have our Kennie Luu. He is our rockstar! Well deserved recognition. Brad, Thank you for the story about Kennie. He reminds me never to take for granted all the freedoms and privileges we enjoy in our county, and the responsibilities required to maintain them. I love this story! When I was a senior in high school (many years ago…) I was asked if I would be interested in helping Vietnamese refugees learn English. At that time, one of the many languages Vietnamese people spoke was French. I spoke French and English. I jumped at the chance to help. It was one of the most rewarding experiences of my life. We are all just one people in this world. Opening ourselves up to other cultures gives us a deeper understanding of humanity. 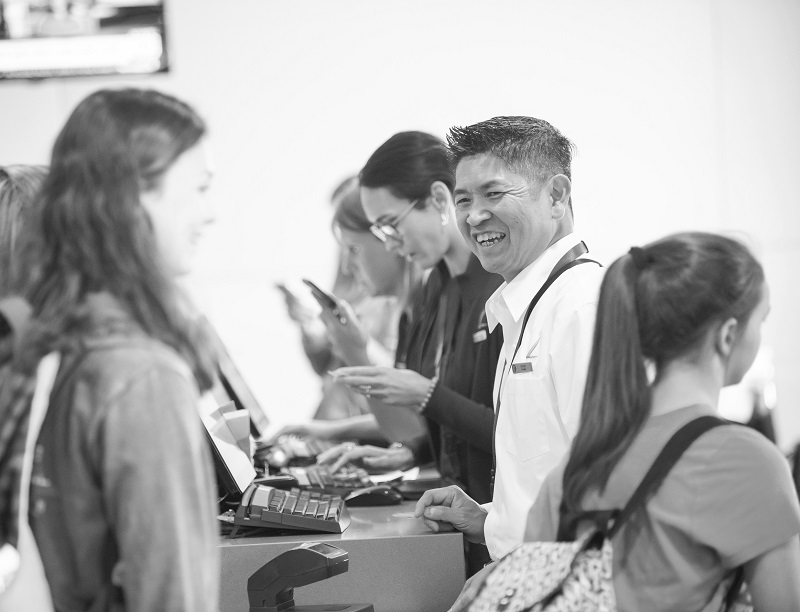 Thank you, Khang/Kennie for helping make AlaskaAir become THE airline people Love! Testing in production…not a good practice. Nevertheless, Kennie represents the good in the American experience. Good on Alaska for recognizing him! Thank you for a lovely story about another person who has blessed our country by choosing us. I live close to our south west border and have had the privilege of friendship with other wonderful families who have made the difficult journey to our country. Their hard work and contributions deserve tremendous gratitude and respect just like Kenny. My greatest thanks goes to all who have come here and remind us how wonderful we can all be. This is an awesome story! Years ago, our church in Juneau Alaska sponsored a family from Viet Nam. This goes to show how people just need a “hand up” to get going! I have always wanted to work for Alaska Airlines here in Juneau since my brother took the early retirement several years ago. I have put in 30 years with SEARHC and not ready to retire yet. I’m too much of a “people person”. I’ll keep checking the website for openings. Thanks for all you do for the communities!